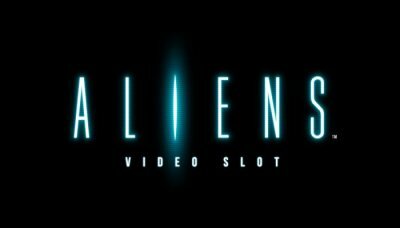 Net Entertainment in cooperation with 20th Century Fox brings you Aliens the video slot. Based on the hugely successful cult sci-fi movie franchise, this slot has the makings of one thrilling and suspense-filled extraterrestrial adventure! As you progress through the game levels, your mission is to survive the Alien onslaught and kill the Queen. With Re-spins, Wild Substitutions, Collectable Multipliers and a massive Bonus Win for killing the Queen, there is no shortage of action in this slot! This five reel, 15 paylines slot features three different game levels, each with their own challenges and all based on the 1986 Aliens movie - The Search, The Encounter and The Hive. During Level 1 – The Search the base game), your mission is toscan the infested premises for Alien activity and collect winning symbols. All symbols included in a winning bet line are added to the Alien Activity Meter and increase the Multiplier by one. The Activity Meter has nine steps in total and the aim is to reach the maximum level with the highest Multipliers, in order to advance to The Encounter level. Level 2 – The Encounter is the free spins game where wins are guaranteed on every spin…provided you survive the waves of Alien attacks! Multipliers that are collected in the base game are transferred to this level and apply to wins on the symbols shown. Ammo symbols appearing randomly in the center position of the reel are added to the Ammo Clip counter and activate re-spins. In Level 3 – The Hive, your only objective is to destroy the Queen and her Hive before the Aliens get to you. The Bonus win potential here is huge and if you successfully manage to kill the Queen, you’ll win 240 times your bet! Is your heart racing yet? We know it will be when you start playing this video slot! The realistic 3D graphics and intense soundtrack add to the suspense and will keep you at the edge of your seat. Prepare yourself for Alien warfare and head to Vera&John Casino for the most thrilling extraterrestrial adventure yet! 24 Apr 2014-Offer valid as of date published. T&Cs apply.